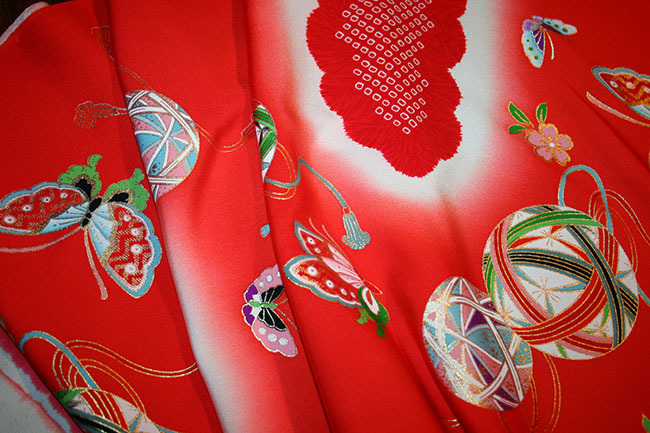 Kimoyes item: 19806 - Gorgeous silk bolt intended for a girl's kimono. 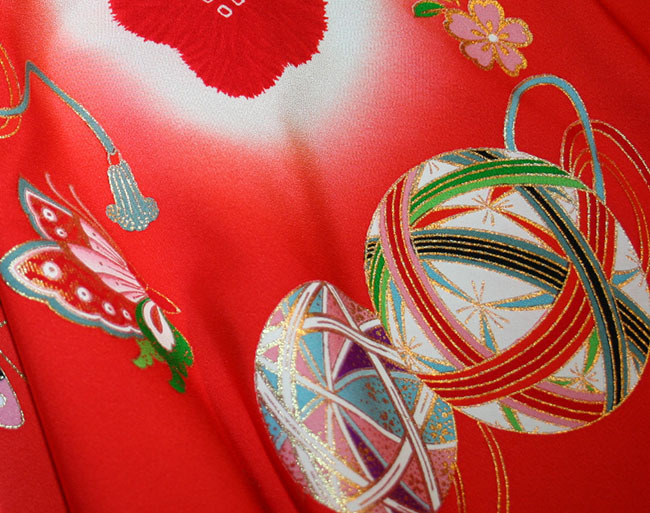 Gorgeous silk bolt intended for a girl's kimono. This bolt has lots of butterflies and temari balls with lots of metallic gold outlines. The cloud pattern has a faux shibori design.